One of the best ways we can protect our environment is by changing the way we use our building materials. Asphalt shingle recycling is a steadily growing sustainable practice that aims to protect our environment by making better use of old roofing materials. Here’s a brief guide to help you understand it better. Asphalt shingle recycling is the process of repurposing old asphalt shingles from roof tear-offs. These old shingles are collected and broken down for reuse in other products. This helps save landfill space and conserves existing natural resources. As one of the leading roofing contractors in Northern Virginia, we’re happy that asphalt shingle recycling is taking off. It’s an economically viable and convenient way for contractors to protect the environment and save money. Asphalt shingles are one of the most popular roofing options in the country; in fact asphalt is the main component in 80% of all roofs. This is important because asphalt shingles are 100% recyclable, and asphalt is the main component of our roadways. Recyclers remove the nails from the shingle for later recycling, and then they grind up the shingles. They then add this to the pavement. 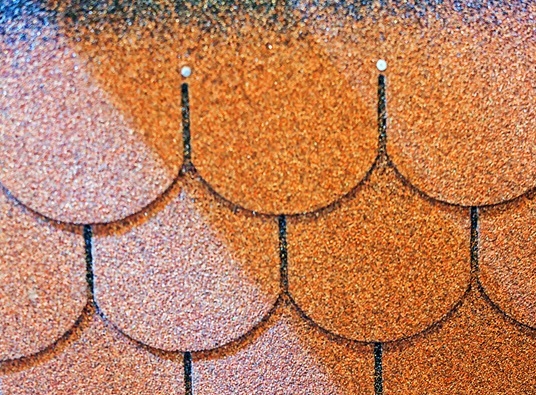 Expert roofing contractors in Manassas, VA, like this because recycled shingles improve road quality. Asphalt shingle recycling also saves everyone money. Taxpayers save money when the government uses recycled shingles for recycling. Roofers in Northern VA, save money on material and energy costs. Dumpster and paving companies also save money through the same way. Shingle recycling can also reduce our dependence on foreign oil and helps conserve our minerals and natural resources. Recycling also creates new jobs and allows homeowners to make a positive impact. Recycling our asphalt shingles is a great step forward in using our natural resources more efficiently. Asphalt shingle recycling saves money, creates better roads, conserves land fill space, and saves our natural resources. Peak Roofing Contractors has many years of experience, and we pride ourselves in our knowledge of asphalt shingles. Give us a call if you’d like to learn more about asphalt shingle recycling, or to get a free estimate.